Arabic is a language with a rich history and many languages around the world have borrowed words and phrases from it. If you are in Dubai for personal or professional reasons, knowing Arabic will give you an instant edge over others because you can communicate effectively. It also cuts back the inconvenience of a translator and lets you express yourself freely. Knowing Arabic can also prove to be a great addition to your C.V because most employers prefer people knowing the language of the region. Our step by step guide lists down some places in Dubai where you can take Arabic lessons at your convenience. Eton Institute: This academy offers pure conversation classes to work on your speaking skills. 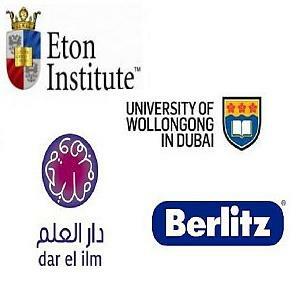 University of Wollongong in Dubai: The institute offers Arabic lessons for small groups within flexible class schedules. Berlitz UAE: A renowned name with presence in over 70 countries, Berlitz offers Arabic lessons in its Dubai center. Dar el Ilm: Here you can start with beginners' level course and can proceed with advance courses on completion of the basic modules. Alliance Francaise Dubai: Here the group Arabic lessons of 4-5 weeks are mostly held in spring, however private sessions are available all through the year. Polyglot Language institute: The institute provides lessons and translations for many languages including Arabic. It is more than fifty year old and has been providing coaching lessons to expat students and professionals. Sheikh Muhammad Center for cultural understanding: The center offers classes in small groups so everyone can have maximum attention. In order to finalize the institution you will need to look carefully at the courses, schedules and prices of the above mentioned institutes. Compare a few and you will be able to select the one that better meets your requirements. Once finalized the institution, proceed with the fee submission and admission and start your classes immediately.